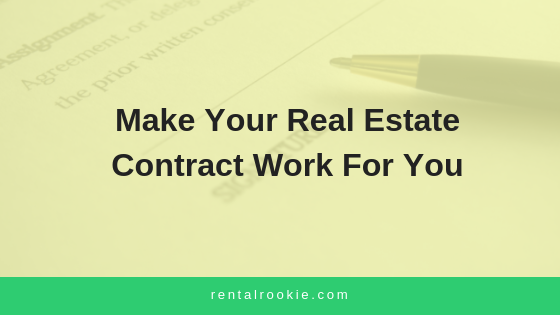 When it comes to helping your real estate agent draw up the contract there are a number of factors to take into consideration. As an investor, you should play an active role in drawing up the sales agreement so that it meets your goals as an investor. It is essentially a contract between two parties for the purchase and sale of a piece of real estate. It must be in writing and signed by both parties in order to be valid. You and your realtor should look at other properties that are similar-square footage, bedrooms, bathrooms, year built, location- Your realtor should prepare a CMA (comparable market analysis) that encompasses all of these factors so that you can make an informed decision on your starting offer. Your loan program will dictate where you need to start in terms of down payment. For example, most conventional loans require investors to start by putting 20% down. However, there are some programs that require less and there are some banks that may require more. Your lender can provide you with the information for your area and loan program. 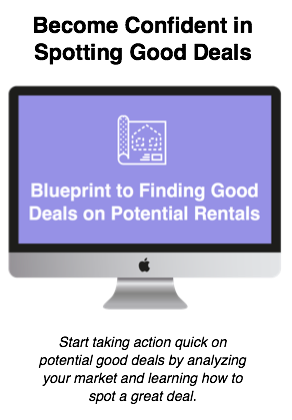 Knowing how long the property has been listed also weighs in on your starting offer. If a property has been listed for a while the sellers may be more willing to move on the price, meaning you can potentially start with a lower starting offer. Even more, if a property has undergone a price drop while it has been listed, pay attention to how many times the price has been dropped and see if there are any patterns emerging. For instance, if a property started off being listed at $275,000 and after a month on the market dropped $25,000 and then another month later dropped $25,000- you can see the pattern and perhaps have your starting offer could be another $25,000 lower assuming after a month they would drop it to that anyways. It gives you a place to start negotiations. After viewing the property with your realtor, the condition of the property should also weigh into your starting offer. If you walk into a property that is turn key, meaning you will not have to do any work to it and your realtor does a CMA that shows it is well priced, then you probably won’t get much movement on the price. However, if you check out a property that needs quite a bit of work, whether cosmetic or skeletal, you can use that to help you start with a lower starting offer knowing you will have to put cash into it to get it ready to rent. Although often overlooked by rookies, the number of days until the closing date can also have an effect on your offer, especially if you are competing with multiple offers. Your realtor should talk to the listing agent about how quickly the sellers would like to close. If you are able to tailor your timeline to theirs then you may have a better chance at getting the property on your terms. This factor can be beneficial to you as an investor. You may write into your offer for the seller to pay some of your closing costs. Which is great in terms of saving you cash up front. However, the property and the market will dictate whether that is a good move for you. For example, if you are writing on a property that is priced well and in a hot area, you could be competition with other offers-meaning you may not want to include this in the contract. Someone making an offer that doesn’t ask the seller to put up more money would probably be taken, depending on the other terms, over yours. Sometimes referred to as either an Earnest Money Deposit or a Good Faith Deposit, this sum of money is provided by you and held in escrow to prove that you are committed to the property. The number varies by state, but we use 1% of the purchase price as our guideline. This deposit is submitted when you present the contract. This check will be cashed if your offer is accepted and will be netted from your down payment. Contingencies There are three major contingencies that can be worked into a contract- home inspection, appraisal, and financing. 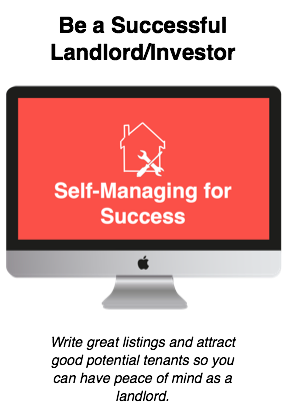 Typically this is a 7-10 day window where an inspector, a contractor, or yourself spends time thoroughly viewing the property for major issues that could potentially be worked into the contract for the sellers to fix. In addition, during this time if any major issues arise that are beyond your scope you are able to pull out of the contract without losing your deposit. If you are purchasing a property using financing you will need to get at least one appraisal completed. An appraisal will tell give you a basis for value to ensure that you are making a wise financial decision. This will be conducted by a third party that neither your realtor nor your lender have any control over. **Note: There are some loan programs that do not require an appraisal. Check with your lender. This is typically the last contingency to complete in this process. At this point, you’ve inspected the house and you are clear. The appraisal has been completed so you know the value is there. Now you have to be able to obtain financing, hence the importance of the pre-approval we discussed earlier. If you experience any major changes that would jeopardize your ability to qualify for the loan you could get out of the contract. Moreover, if the loan program undergoes any changes that would affect your ability to qualify you could also pull out of the contract. In both of these instances you would not lose your deposit. Once you've established your offer and presented it to the seller and negotiations have concluded it is time to sign the purchase agreement. When the buyer and seller both sign the contract it becomes ratified and is a binding contract that both must follow until the agreement is concluded at closing.